Amazon's MP3 music download service in the US has not impacted on Apple’s iTunes music downloading service, according to a new study. The NPD Group’s study claims that a mere 10 per cent of all purchasers at Amazon MP3 are customers that have moved across from Apple's iTunes. An NPD analyst asserts that the research is proof of a "healthy indication that the digital music customer pool can expand into new consumer groups who have not yet joined the iTunes community". 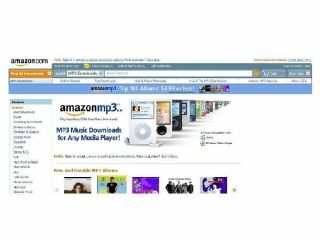 Amazon's DRM-free MP3 service is expected to launch in the UK and Europe later this year. TechRadar has contacted Amazon UK to find out more on those plans.